Our most realistic gas and electric fires ever! 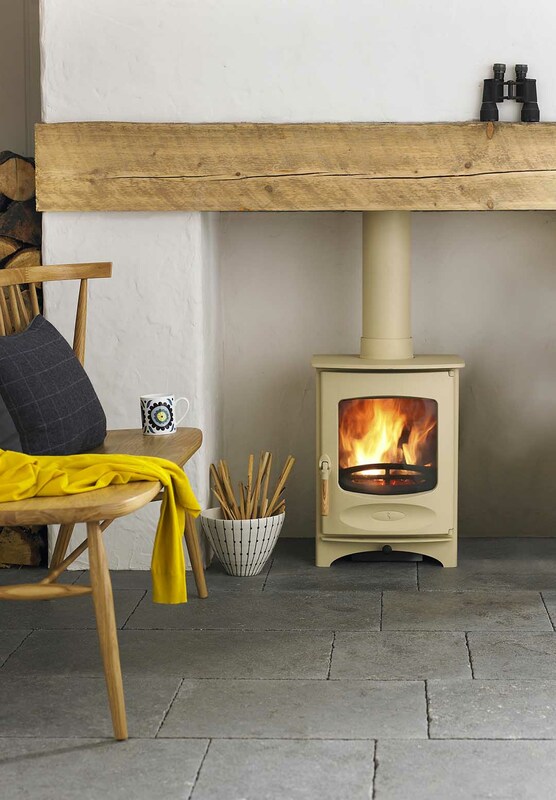 Please scroll down to see a small selection of our top-selling stoves and fireplaces or click here to see our complete range. 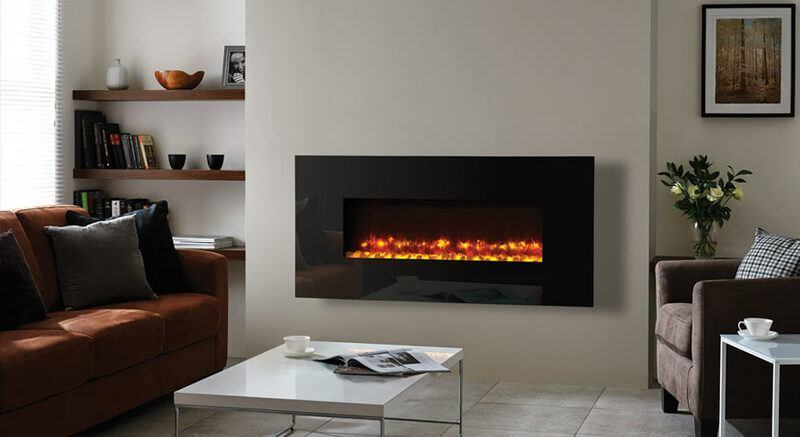 Stoves – wood burners – multi-fuel – gas – electric are the modern, efficient way of enjoying the warmth and glow of a real fire in your home. There’s nothing quite like spending a cold winters evening around the fire, with family, friends or just a good book. Not only are they great to look at, they are also Functional, Efficient, Controllable and Safe. It’s no wonder they are a popular choice for modern home heating. Available across four fuels (Wood, Multi-Fuel, Gas, Electric) and a range of styles, including fireplace inserts and suspended log burners, a stove will fit alongside your lifestyle and taste. Choose your appliance carefully and as a result, it will give you many years of good service. 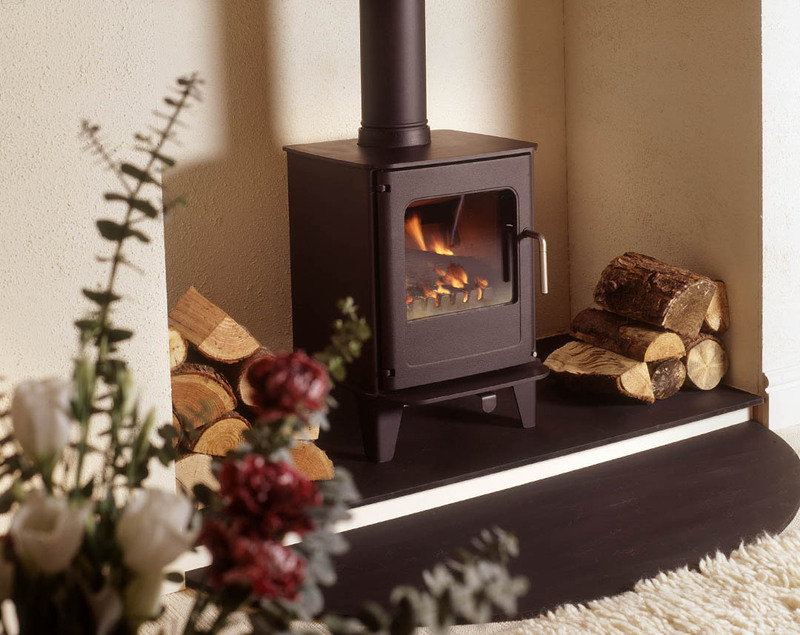 Whether you are looking for a traditional wood burning stove or a modern inset gas or electric fireplace, please contact us for assistance in finding the perfect stove for you. 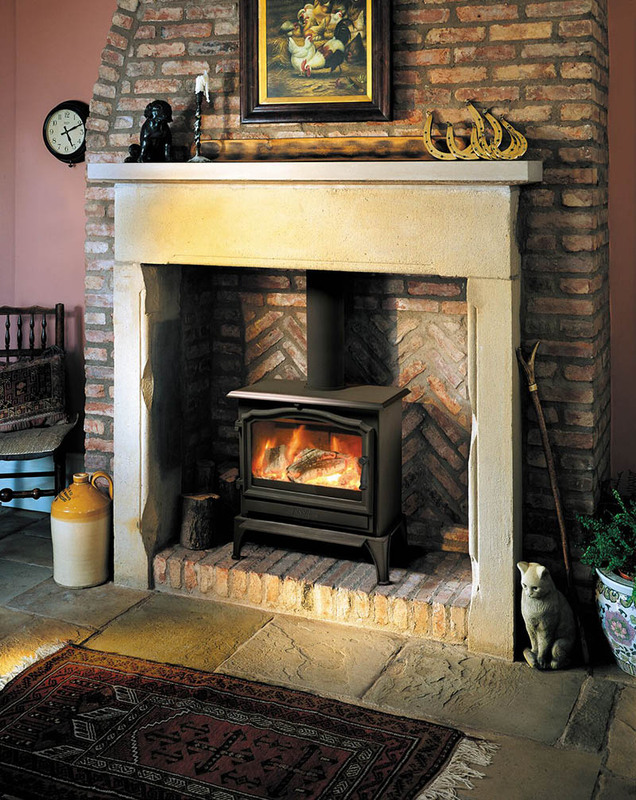 Rangemoors supply Stoves of superior levels of Quality, Reliability and Functionality. Accordingly, we supply stoves from the following manufacturers. ACR, AGA, Avalon, Charnwood, Cleanburn, Di Lusso, Dovre, Eco-Ideal, ESSE, Faber, Firebelly, Firenzo, Focus, Gazco, Hunter, HWAM, Morso, Nordpeis, Parkray, Stovax, Town & Country, Varde and Yeoman. Below are just a small selection of the stoves we have available at Rangemoors, many of which you can see live and working at our showroom in Winkleigh. We welcome visitors from the South West – Cornwall, Devon, Dorset and Somerset as well as further afield. Please visit our showroom to experience these appliances for yourself and to talk to our experts about what stove would suit your needs. How to choose a stove or fire - our guide. 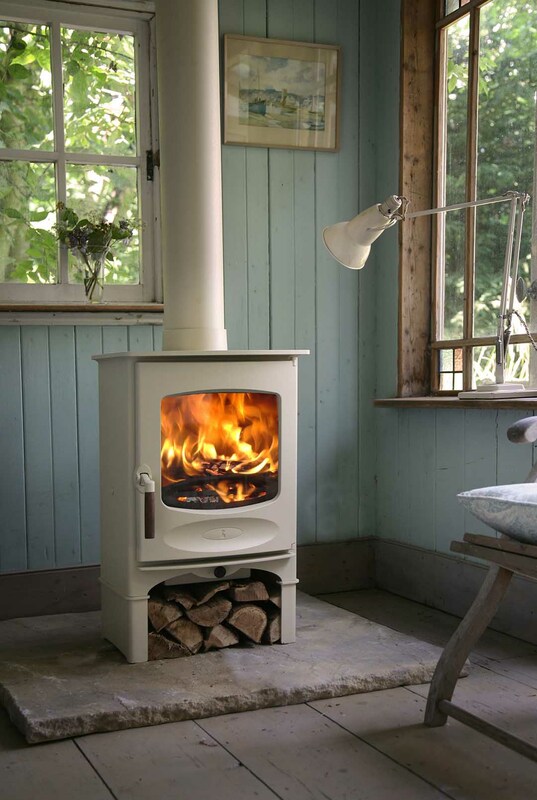 Watch our video guide to choosing the perfect stove or fire for you and your home. We look at some of the key considerations and guide you through the options and variety of appliances available. The Thornton Dale from Town & Country. 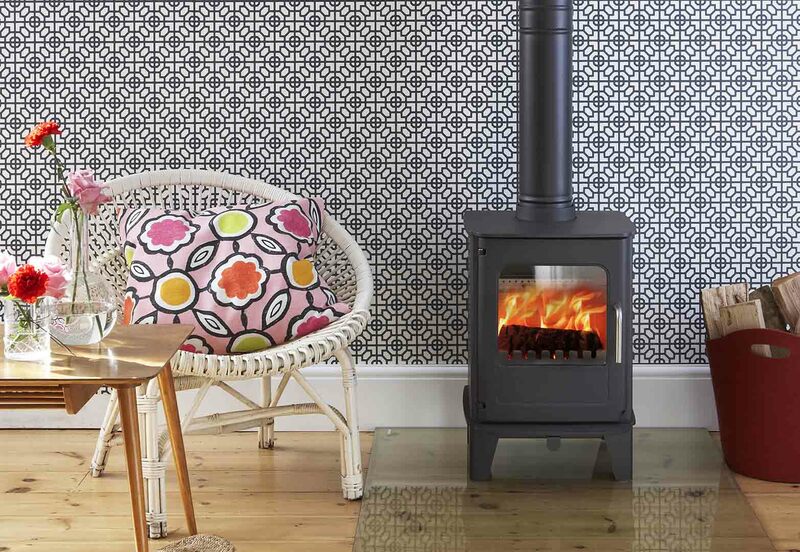 A medium sized, good-looking, contemporary stove. Multi-fuel with curved glass door for all round viewing. 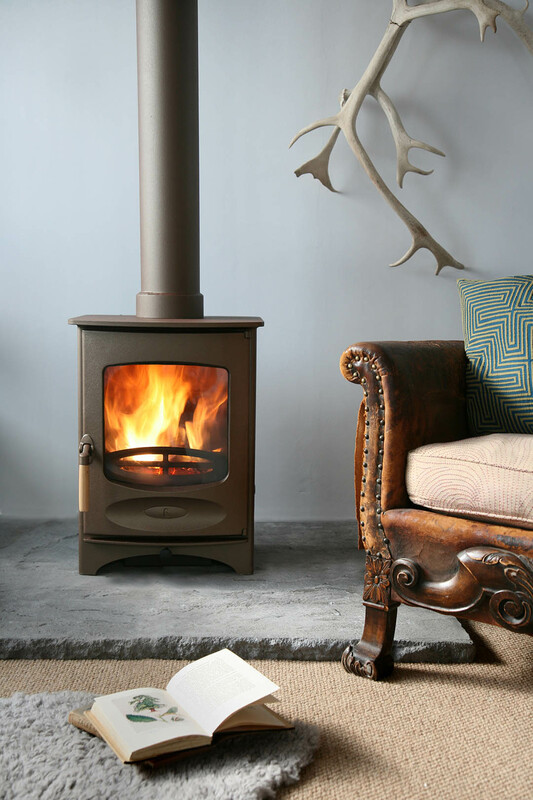 The British manufacturer Town & Country’s Thornton Dale multi-fuel stove is extremely efficient. It burns fuel to a fine ash eliminating the need for a riddling grate. With an output of 7.5kw it is perfect for the medium sized room. Fittings come in brass or steel and an under-stove wood store is available as an optional extra. The Thornton Dale is always very popular with our customers. Clean lines and clean air-wash technology. A wood burning stove for the smaller room. Permitted in smoke controlled areas. 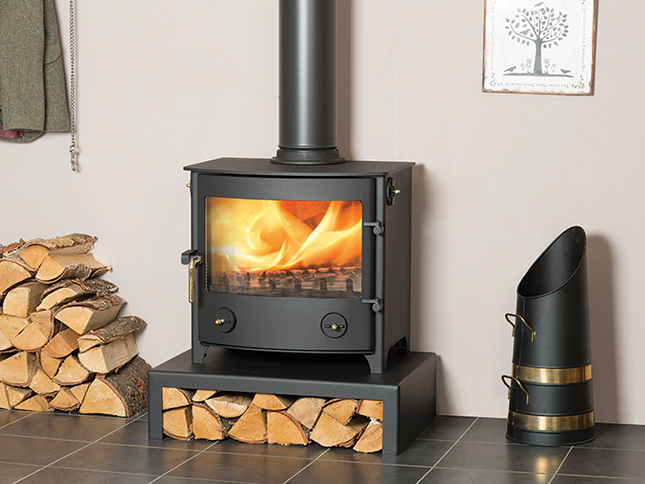 This super-efficient stove is made by Charnwood, a family owned British company specialising in the manufacture of high-quality wood and multi-fuel stoves for nearly half a century. The C-Four meets the highest environmental standards with low particle and CO emissions. There is a choice of 8 colours and optional extras are a wood store stand and a flue boiler. This contemporary style, inset stove incorporating clean glass, air-wash technology, is perfect for the modern, medium sized room. Inset stoves are making a come back and in their DEFRA approved Di Lusso R6 inset model, Exeter based Hunter stoves have really created a superb inset wood stove aptly dubbed the King of Stoves. With it’s smooth finish and sleek lines it creates a beautiful focal point for the contemporary living room. 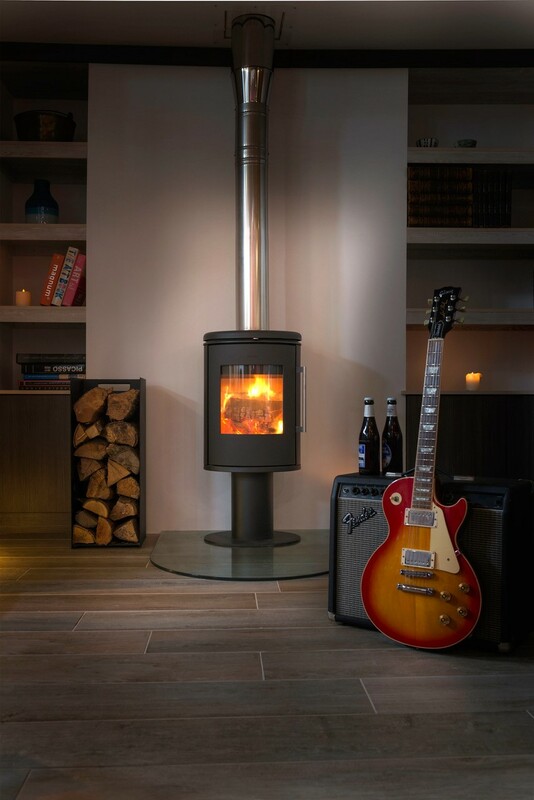 The Di Lusso R6 inset fits effortlessly into your home, bringing any room alive with the beauty of natural flame. 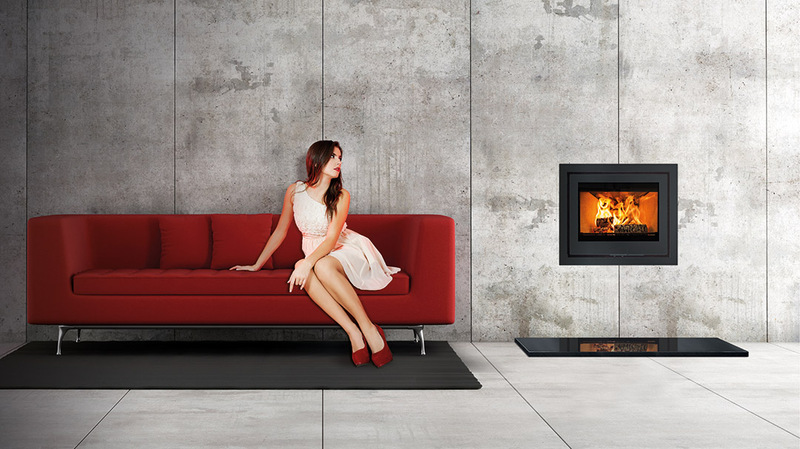 An ultra-modern, minimalist designed, free-standing wood stove. Clean glass air-wash technology and cool handle for safe stoking. Classic Danish style. 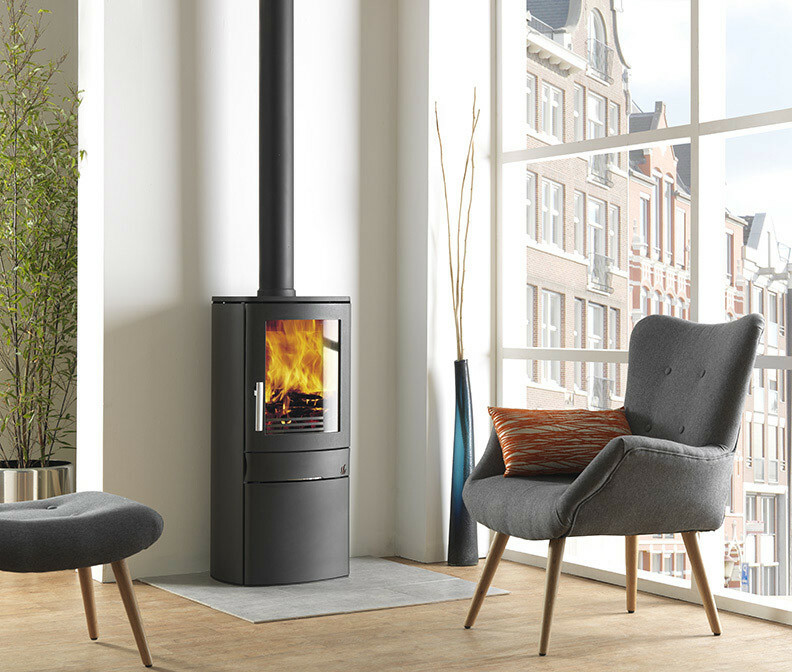 As you would expect, design and function are seamlessly combined in this superb steel wood stove from Denmark’s internationally renowned Morsø company. The large glass door gives maximum fire exposure while advanced hot air flow technology ensures optimum burn efficiency. Unquestionably, the Morsø 6848 adds more to a room than a focal point and a source of warmth – it is a classic statement of Danish design. Clean lines and contemporary design. A free-standing multi-fuel stove for the smaller room. Features Fire-Slide control and air-wash technology. With its simple, uncluttered lines and gentle curves the Morsø 04 slips effortlessly into the design philosophy defining today’s modern living. A small stove yet with big stove performance, it will unobtrusively provide your living room with that classic Danish sense of coziness and companionship. Small but beautiful formed. 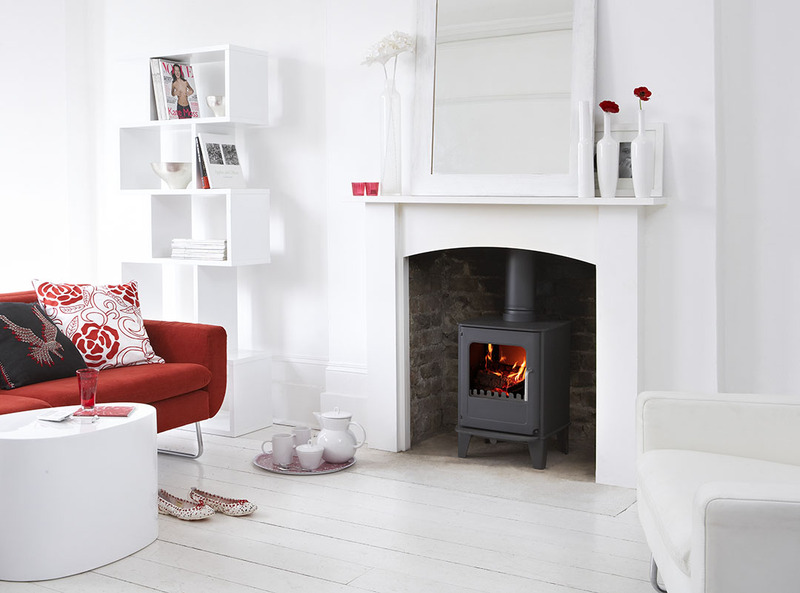 This stylish, multi-fuel stove is ideal for a shallow hearth space. Available in six inspiring colours and with a log store. 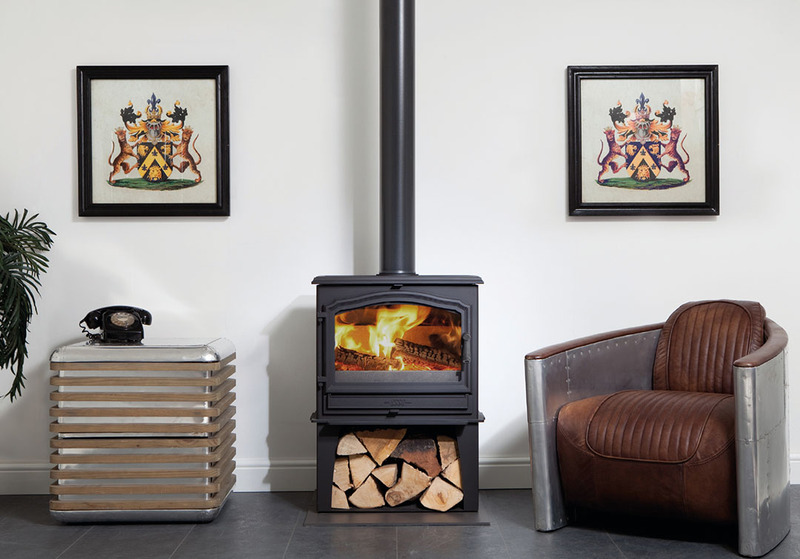 In the business for more than 150 years, British stove manufacturer Esse have created a real best seller in the Esse 100. 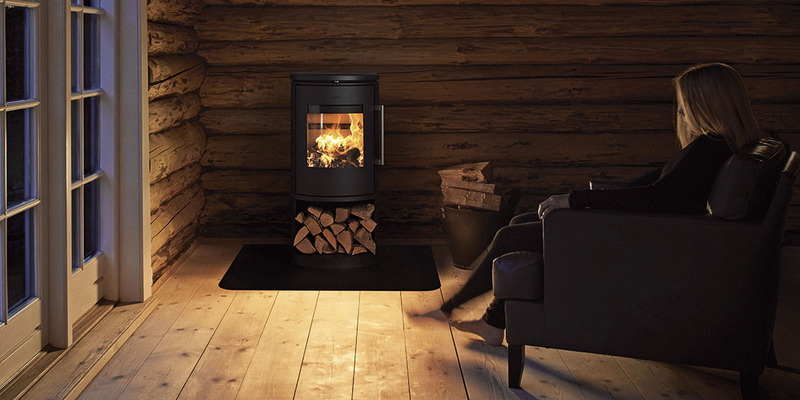 Wide, yet slim, super-efficient (82%) with a big viewing widow, the Esse 100 stove with Esse’s after burn system provides a clean burn and excellent control over heat output. With elegant lines and contemporary styling, this multi-fuel, air-wash stove has DEFRA approval for burning smokeless fuel in smoke-controlled zones. 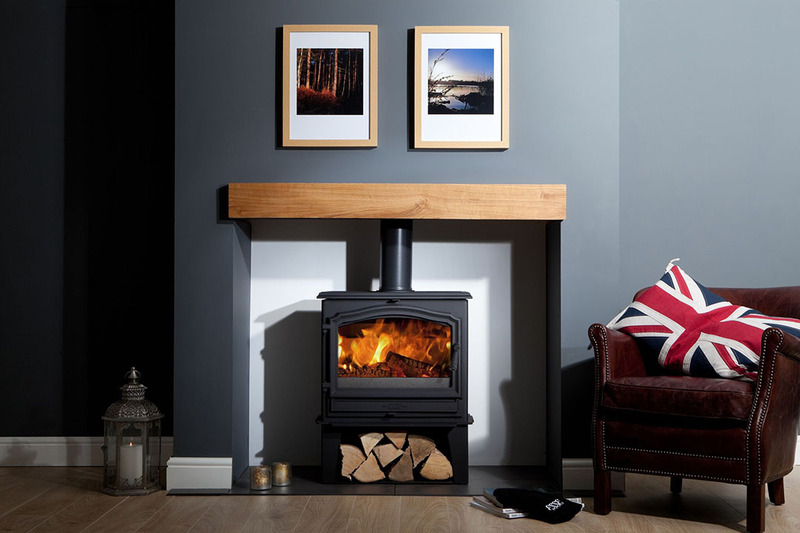 British manufacturer ACR have created a design classic in their NEO 1C, DEFRA approved multi-fuel stove. With a convenient wood store cupboard beneath – ideal for storing kindling and logs, the glazed fire door is fixed at seated eye level. A multi-fuel grate system provides for smokeless fuel burning and the lidded ash pan eliminates spillage. 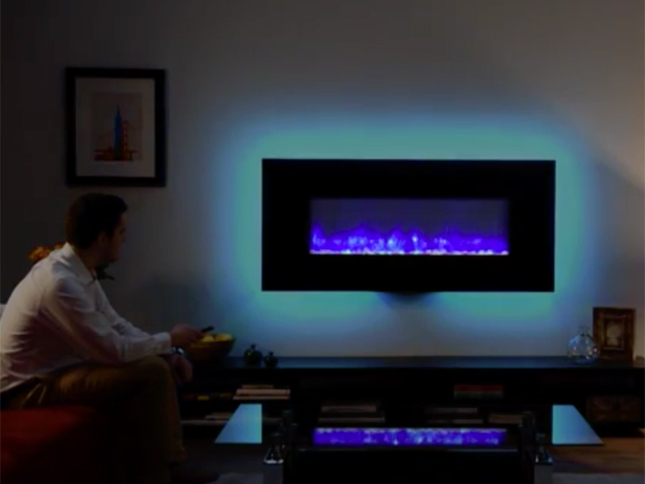 Ultra-modern, wall-mounted electric fires from 80W to 190W. In stylish solid glass frames with amber or blue flame effects, they provide instant focal points to any room. 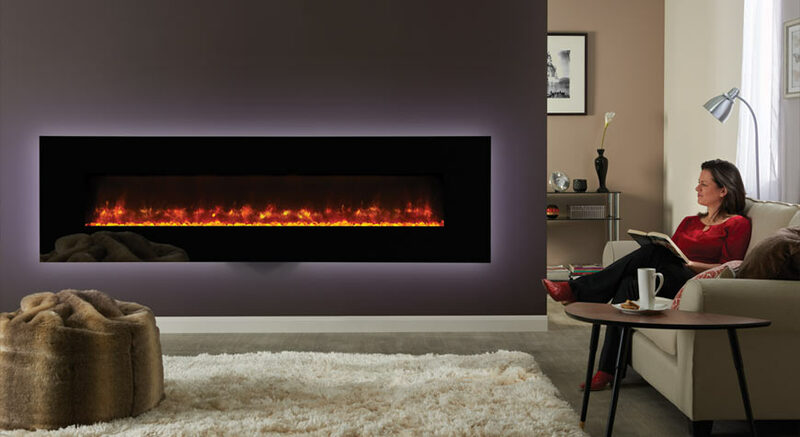 Stovax Gazco electric fires come in four sizes appropriate to the size of the room with the option of white or black glass frames. 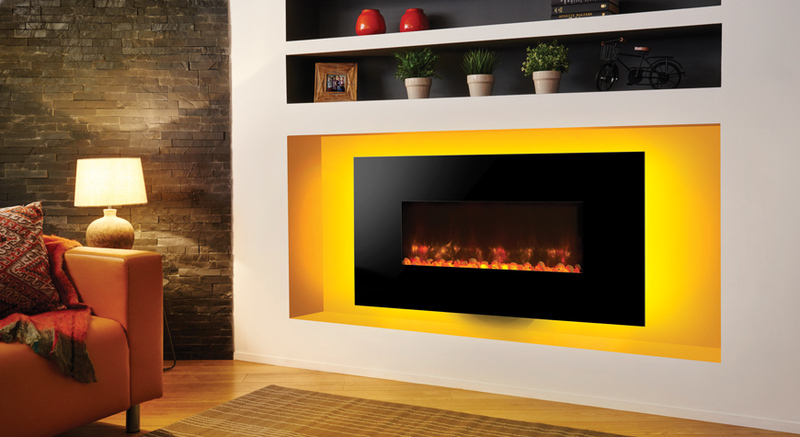 An advanced Chromalight LED system provides a spectrum of attractive flame effects allowing you to create the perfect background to suit your mood. All the fires come with remote control. No building work is required for installation.